We believe in the positive impact of drone technology and therefore seek to accelerate the widespread adoption and acceptance of drones by the public. In the pursuit of our mission, we are creating the technology behind the management of drone fleets on demand. The business application of this technology has many use cases in the sectors of entertainment, delivery, and public safety. With the 3D Robotics Solo, we were able to send the Solo to multiple GPS locations all using software operating on the onboard computer. The video below shows the Solo autonomously taking off to a height of 50 meters and then flying to two GPS locations before returning home. No controller involved - all flying was done through the code that was sent to the computer. 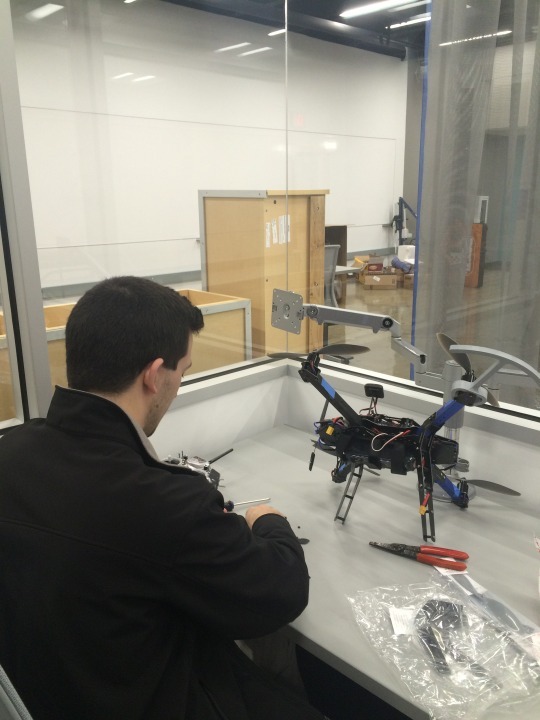 We are currently working out of the new Robotics lab in the North building. 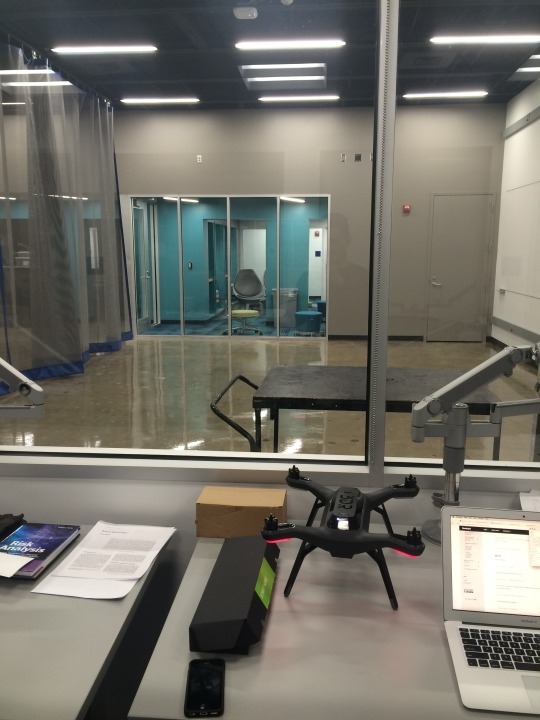 Our first quadcopter is fully functional and we are thoroughly testing it within the quadcopter flying space in the lab. We have also purchased a 3DR Solo to be used as the second quadcopter for this project. This purchase will speed up the development of the backend and prevent the hindrance from the dysfunctions of the constructed quadcopter. 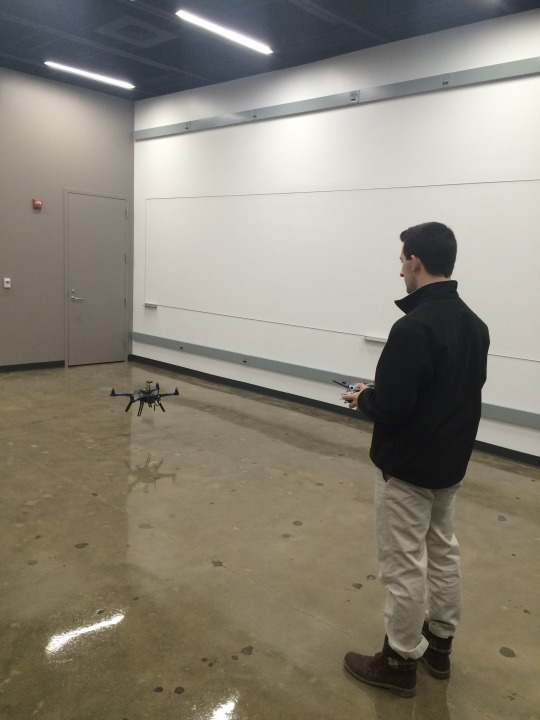 The backend is currently built using Android and Python and utilizes the DroneKit API provided by 3D Robotics.